While the Trump Tax Plan was touted as a huge tax cut, many millions of Americans will still see their taxes go up in 2018. Residents of high-tax states like California, New York and New Jersey are the ones who will be mostly affected. Those individuals should be proactive and look for ways to minimize their taxes. Regardless of state residence, tax planning is on the minds of more people these days than it would have previously been. One tax-minimizing strategy is a Roth IRA. One of the most popular retirement accounts, this type of IRA offers tax-free income. Sadly, many of the people in high-tax states have discovered they earn too much money to contribute to a Roth IRA. However, the Rich Person Roth could be the key to unlocking more tax income in retirement. Built on the back of cash value life insurance, it could be the easiest way for some high earners to unlock financial freedom. 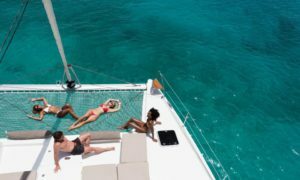 Keep reading this post for more on how the Rich Person Roth could potentially be a nice tax-saving strategy, as well as who shouldn’t be trying to use this strategy. The Rich Person Roth is not some tool only available to the Super Rich. But is it right for your financial needs? So, you are on track for your various financial goals and you are maxing out your available tax-preferred accounts. Think 401(k) or Individual Retirement Account (IRA). Your financial house is in good order and you are feeling good. Adding permanent life insurance into the mix may be something worth considering. This strategy, sometimes referred to as the Rich Person Roth, can offer as much, or as little, tax-free income in retirement that you are willing to plan and save for. You may be thinking, I don’t need life insurance. Maybe you read somewhere in the mass market financial media that you should “buy term and invest the difference.” Perhaps for you, the thought of death is about as fun as thinking about taxes. Have you ever actually met someone who has bought term and invested the difference? I have been doing this a long time and I have not. When I think of life insurance I have visions of a greasy and pushy salesman door knocking and trying to sell policies to people who may or may not need them. Gross right? Now take a deep breath and hear me out. As an independent Certified Financial Planner working in a fiduciary capacity, I want to make sure I share the pros and cons of what can be a great financial tool for the right people. Conversely, it could be a big waste of time and money for the wrong people. Of course, by this time you have probably realized I’m referring to the Rich Person Roth. While you do need to earn a high salary to get the full benefits of this tax saving strategy, you don’t have to be Keeping up with the Kardashians rich to use it. Some of the richest Americans have chosen to park some of their hard-earned wealth into an IRS-sanctioned cash value life insurance policy that allows them tax-free growth on their investments and tax-free withdrawal as well. This type of policy, sometimes referred to as the Rich Person Roth, Rich People Roth, Rich Person Roth or Rich Man’s Roth is sometimes even more beneficial for wealthy women. Because women tend to live longer, the assets have more time to compound tax free). I’ve also seen it described as the LIRPs (Life Insurance Retirement Plans). This tax-minimizing strategy is best for those who make too much money to utilize a Roth IRA. Let’s be realistic. If your income is high enough to preclude you from contributing to a Roth IRA, saving the maximum $5,500, per year, allowed by a Roth IRA would not be enough savings for you to achieve financial freedom anyway. For many of you reading this, maxing out a Roth 401(k), with an $18,500 contribution per year, will not be enough to provide you with the type of lifestyle, in retirement, to which you are currently accustomed. Additionally, the Rich Person Roth is a great option for those playing catch-up (a vast majority of those approaching retirement) and for those who are already maxing out their various other types of retirement accounts. Moreover, people who do not want to pay any more taxes than absolutely necessary on their retirement incomes could also benefit. Of course, this isn’t all positives and no negatives. While the tax advantages could be huge for some individuals, there are drawbacks to using this strategy as well. One of the biggest benefits of a Roth IRA is also one of the biggest drawbacks to this type of retirement account. As you may or may not know, contributions to a Roth IRA or Roth 401(k) are not tax deductible. That means taxes have already been paid on the underlying income that is used to make the contribution(s) to the Roth IRA. Let’s be real. One of the most pressing motivators to save for retirement are the tax deductions you get now on accounts like an IRA or 401(k). While the Roth IRA does not come with current tax breaks, it does hold some large tax advantages over time. Once money has been put into a Roth IRA, it grows tax free, and more importantly, it is allowed to be withdrawn tax free. That assumes that you follow the Roth IRA withdrawal rules laid out by the IRS. Keep in mind that tax savings compounds more for those who are younger or farther away from needing the money. For those lucky enough to make too much money, you will be limited, or not allowed at all, to contribute to a Roth IRA. Currently, this applies to incomes more than $135,000 for singles and $199,000 for married couples. If your annual income is anywhere near $100,000 (or more), the yearly contribution limits of just $5,500 ($6,500 for those 50+) will not grow enough to provide the income needed to maintain your standard of living in retirement. This is especially true for those getting a late start saving for retirement. Three of the biggest risks to your financial security in retirement are taxation, stock market risk and, of course, longevity. I hardly consider living too long a problem, provided I will be healthy and happy. However, in many cases, that does mean your money will need to last much longer. Longevity risk is increased by tax risk and investment risk as well. If taxes increase (I expect them to go up before I’m done living) or if the stock market takes a dive, there will be less money to live on in retirement. You may be able to reduce or eliminate much of all three of these risks with the Rich Person Roth. There are ways with certain policies to turn your cash value into a guaranteed income stream for life while reducing or eliminating some of your stock market and longevity risk. If you play your cards right, the tax-free income reduces the risk of taxes going up in the future. They will still go up, but you will have tax-free income and avoid paying more (probably much more) taxes. Imagine how great it would be if there were no contribution limits on your various retirement accounts? How much would you contribute or hope to sock away into a tax-advantaged account? Using life insurance, the Rich Person Roth has no contribution limits. If you set the policy up properly, you can plan for contributions of essentially unlimited amounts. All those contributions would be treated like a Roth. Translated into plain English, your money will not only be allowed to grow tax free, it will also come out tax free. Again, the Rich Person Roth works best for people who have already maxed out their other various retirement accounts. It is an additional way to save for future goals in a tax beneficial manner. The cash value of the life insurance policy can be an amazing tool to increase your income after taxes in retirement. This tax-free income will not push your other income into higher tax brackets or increase your premiums on Medicare. Investment options will vary from insurance company to insurance company. Typically, you will have the options to choose more conservative fixed-rate policies, to an equity-indexed policy, all the way up to a fully invested variable universal life policy. How much life insurance you should have is a conversation for another time. We are mostly focusing on using this for tax-free income in retirement rather than protecting your family if you die. Again, think happy thoughts. All the same, your health can be a determining factor when deciding if this type of policy is right for you. You will have to get approved for the underlying life insurance. The worse your health, the less tax advantageous the Rich Person Roth will be for you. On the other hand, the worse your health, the more you may want and need the actual life insurance coverage. Remember, the longer you expect to live, the more time the tax-free compounding has to work its magic. One of the biggest disadvantages to this strategy is the cost of life insurance. Why? Because it lowers your net returns on money in this policy. This does need to be considered when you are deciding if the Rich Person Roth is right for you. Additionally, how much of your assets should be placed into this type of tax-free retirement plan should also be considered. To get tax-free withdrawals, you are technically taking a loan against the death benefit from the insurance company. The insurance company will likely charge you interest for this benefit and loan. Look for policies with Zero Net Loan. This means you will pay interest on your loan, but the insurance company will still credit interest (accumulation or gains depending on how you have it invested) like the funds are still in the policy. Basically, washing out the cost of the interest. Hence the name Zero Net Loan = Zero Net Interest Cost. Does Trump Tax Plan Help or Hurt This Strategy? I mentioned earlier that many people are looking for more expert tax planning guidance after learning they are getting a big tax increase from the alleged Trump tax cut. The new lower tax brackets will make it easier for more Americans to sock away money, post tax. Maxing out your 401(k) may help lower the hit of the draconian State and Local Tax Cap of $10,000 per year. That one tax issue alone will hurt millions of homeowners across the county because many of us have property tax bills well above that number. Keep in mind, this is before they even take a look at state income taxes. Sigh. While we are on the topic of the so called “Tax Cuts and Jobs Act,” you may have heard it is blowing a big hole in the federal deficit. Adding trillions to the national debt. It is fair to assume that this tax bill will come due someday. Today’s low taxes will lead to tomorrow’s high(er) taxes. Why not plan ahead and put yourself in a position to have more tax-free income when taxes eventually go back up. The Rich Person Roth can potentially help lower the net taxes paid on taxable 401(k) withdrawals, by helping keep you in lower tax brackets in the future. This doesn’t have to be an either or scenario where you have to choose between a Rich People Roth strategy or back door Roth. Congress has made it easier for high earners to utilize the back door Roth IRA. But you will still be limited by contribution limits. Also many people have found dealing the current taxes due when converting and IRA or 401(k) into a back door Roth can be quite cumbersome and off putting. For some more insights into the back door Roth check out these posts from Forbes “Congress Blesses Roth IRAs for Everyone” by Ashlea Ebeling and “IRS Unlocks the ‘Door’ for high income savers” by Jeffrey Levine. For more information please contact H.F. Hanes & Associates at 480-607-1346 or 888-416-(LIFE).